Today I wanted to give you a first impression of a product that I have recently got in the mail. It is the Exuviance Bionic Oxygen Facial. As most of my long time readers will know, I am skincare obsessed. I believe that if I take care of my skin now, in my younger days, I will reap the benefits later in life. It is only natural that I would get so excited about trying out a new product to use on my face! 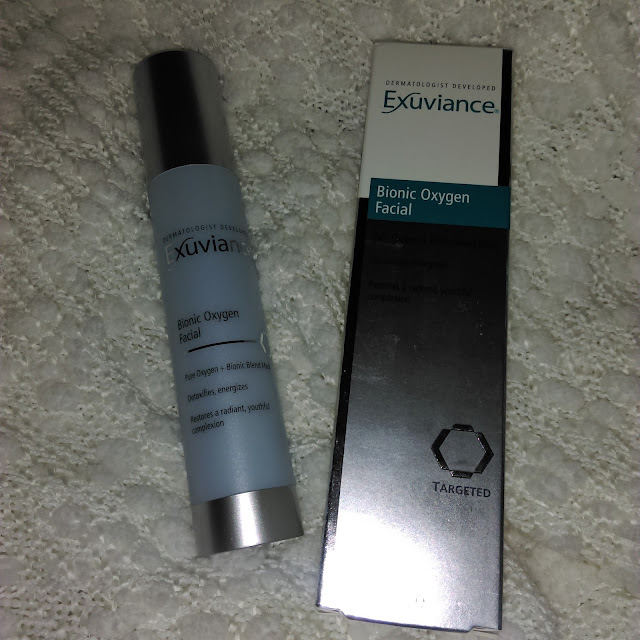 I have used Exuviance products in the past, and I adored them, so I had high hopes for this product as well. And without fail, this pulled through for me. Upon arrival, I made a mad dash to my bathroom to start trying this out. 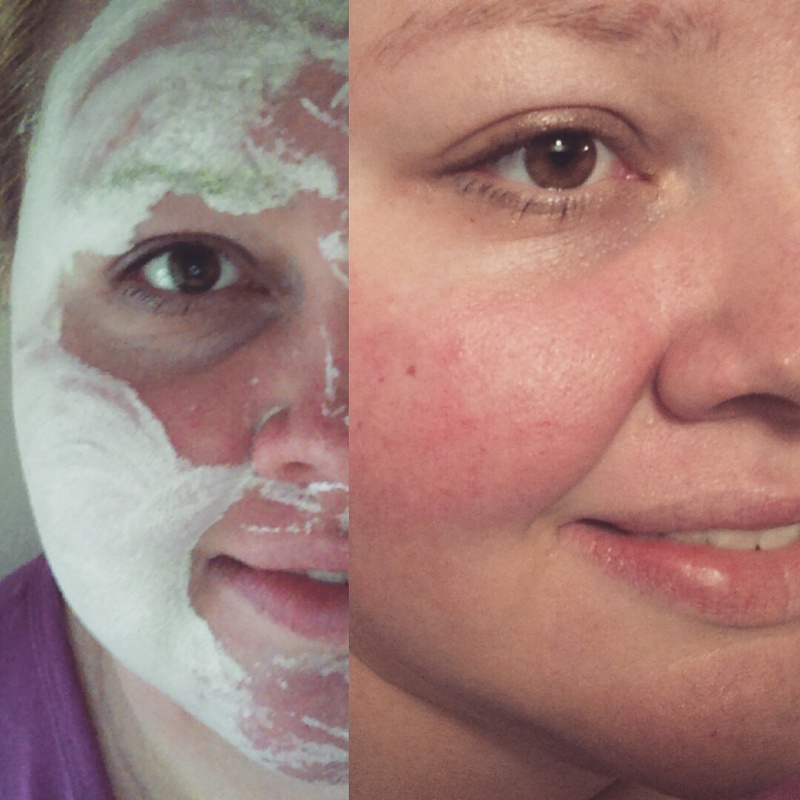 I just got home from work, so it was the perfect time to give myself a facial and have a bit of down time. I used a makeup wipe to take off all of my makeup, then used my cleansing brush with my cleanser to fully deep clean my face. I then dampened my face, and applied the mask to my face. First, it smells very nice. 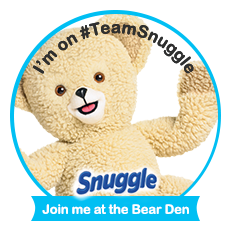 It is easy to apply, I just massaged it into my skin using my fingertips, in circular motion. Within a minute I could feel a sensation on my skin. At the same time the cream became white, opaque and foamy looking. After 2 minutes the sensations were really picking up speed. I could feel what was like hundreds of tiny bubbles popping on my skin. It almost tickled a little bit! However it did feel nice and relaxing. After 5 minutes of letting it sit on my skin, the product seemed to disappear into my skin and I was left with a fairly clean face. Only a few little spots on my skin still had the foam. I then rinsed my face and applied my moisturizer. My face was radiant and just looked fabulous! Facial was a success! My skin felt amazing after, and I felt so relaxed! I really enjoyed this! My first impression on the Exuviance Bionic Oxygen Facial mask is fantastic. I look forward to using it often for my weekly facial routines!